Strobing is everywhere right now. Know it or not we've all been strobing (to some effect) all along! Strobing is basically contouring without the dark contour shades. It emphasises the high points of your face and creates illusion that way rather than using darker shades to create shadows. I've watched numerous people 'strobe' (can you use it as a verb? I'm gonna do it...!) using different techniques, and to be honest it looks hell of a lot easier than contouring! I can contour but nothing as extreme as you see on those instagram videos! So for me strobing is actually brought about some relief...something low maintainence (compared to contouring) and that actually exudes youthfulness. Strobing techniques are not different to your normal highlighting techniques. I tend to do the usual places - brow bone, top of cheek bones, bridge of my nose, cupid's bow and a dab on your chin. For me, it's more about building on the intensity with various products. I've experimented and decided on an illuminating base, a creamy highlight to emphasise and then a powder highlight to really G-L-O-W! I mean if you're strobing, go hard or go home! There's a great post on The Beauty Department here, that shows you step by step on how to strobe. Now the first product I thought of was MAC's Strobing Cream , as the name suggests, to be perfect for strobing. 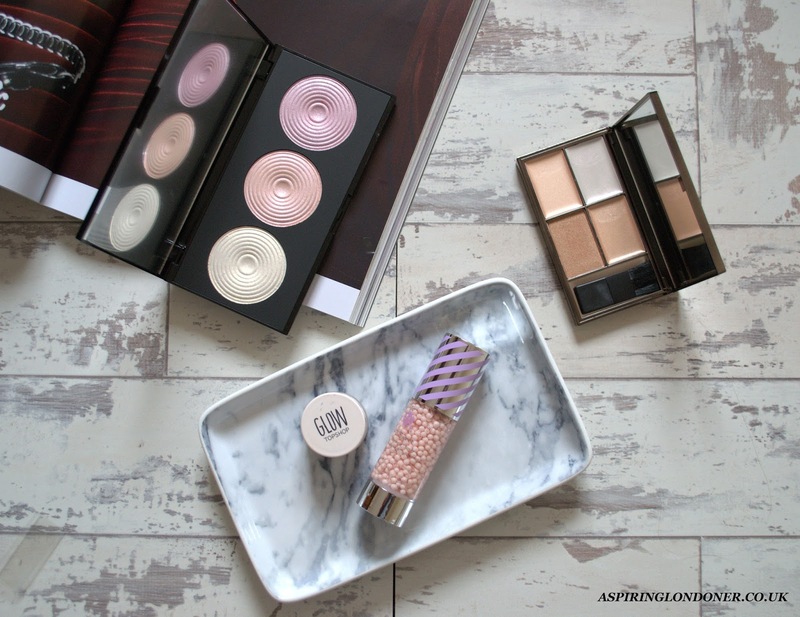 However, high street brands have seriously upped their game when it comes to makeup these days. And if you're trying it a trend, it's best not to spend too much money to begin with in case you're not a fan! So I wanted to share some of my favourites for strobing on a budget. Feel free to try out strobing and share this post with anyone that may be interested too! I can only describe this as a skincare/makeup hybrid. 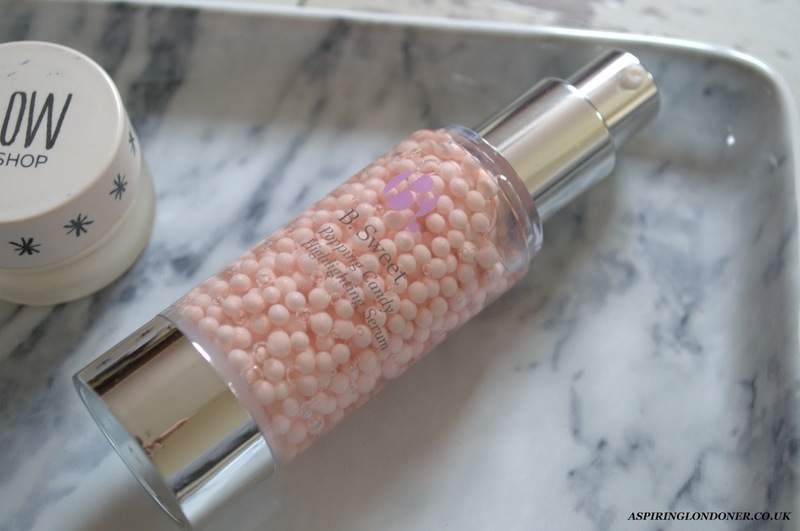 It is a serum with little 'bubbles' with ingredients that 'pop' as you dispense it from the pump. It has a gel formula and feel really hydrating on the skin. I love how subtle the effect is and how versatile it is to use! You can use this as a serum under your moisturiser just for a dewy look; you can use it with/under your foundation for a glowy base or just dab it on the high points of your face as an actual highlighter. In my strobing process, I use this with my foundation as a glowy base for the rest of my strobing routine. 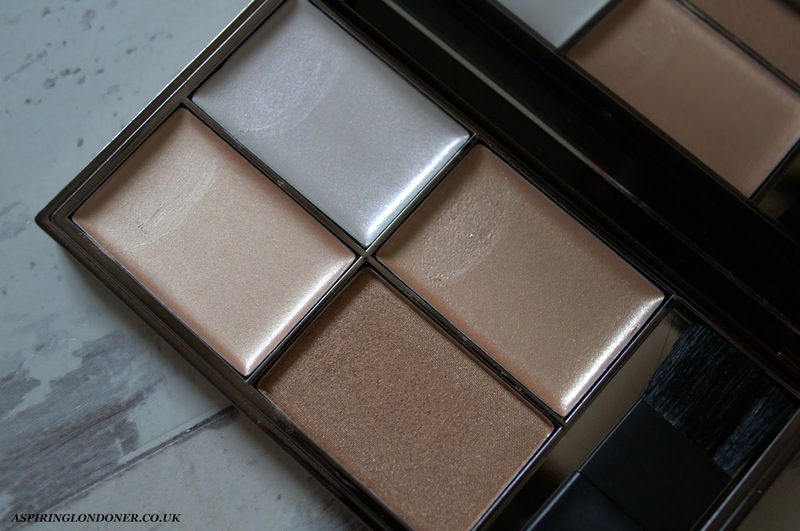 This is one of my favourite palettes as it pretty much encompasses all my highlighting needs. 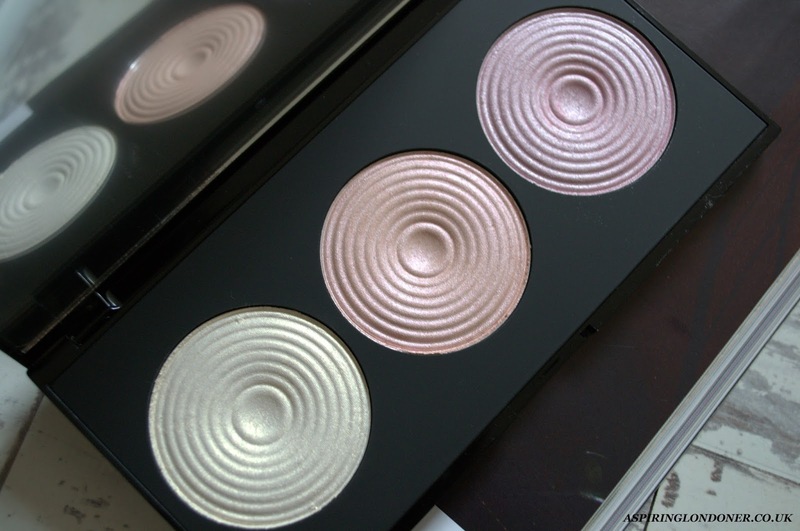 It has three cream highlighters and a powder highlighter that suits any skin tone and is incredibly easy to work with. I have previously reviewed it in full with swatches here. The swatches show how rich the pigmentation is and the creamy formula makes it really easy to use. You can use your fingers or a small buffing brush to work with it. You can build this from a subtle to a very highlighted effect. I love to apply the cream highlighters with my fingers and dab on where I want to highlight. I can keep on building it a little by little by adding products with my fingers. It's so easy to blend as well as the formula is so creamy. I sometimes use two different shades to strobe just to mix it up a little. If you want to get strobing, you need this! Possibly Topshop's best selling product and rightfully so! I included this in my Best of Topshop post here. Fantastic highlighter, creamy formulation, great pigmentation and just works with everthing. It's quite a pink-y toned highlighter but will work on most skin tone. It has been a longstanding favourite of mine, so you won't be surprised to hear, it's a strobing favourite of mine too. I'd use either this or the Sleek palette as a middle step in my strobing routine to layer and emphasise that highlight. MUR does budget makeup really well. If you’re looking for a budget alternative of something expensive, chances are MUR has a dupe and a great one at that! I mentioned this palette on my Best of Makeup Revolution Palette post, and you can see how great the highlighters are from the swatches. The pigmentation and formula are fantastic! I apply it with my RT Setting Brush and it can be layered I use powder highlights as a ‘topping’ for in strobing routine, i.e. powder highlighters are the last this I apply to really emphasise the highlight and almost set the makeup underneath. I'm not a makeup artist by any stretch, but I do enjoy trying out new makeup trends. Strobing is a trend that I hope stays! Hope my strobing on a buget guide helps you to try out this trend too! What do you think of strobing? What are your favourite strobing products? Share recommendations in the comments below or tweet me @aspiring_london!